Area Attractions - Something for Everyone! Casa Grande Ruins National Monument preserves an Ancient Sonoran Desert People farming community and "Great House." Created as the nation’s first archeological reserve in 1892, the site was declared a National Monument in 1918. The giant saguaro is the universal symbol of the American West. 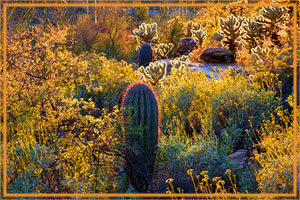 Saguaro National Park protects some of the most impressive forests of Saguaros. 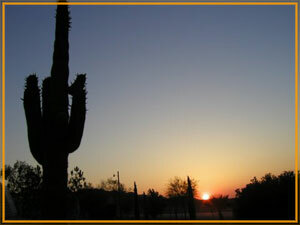 Just outside Tucson, the park offers scenic drives, an interpretive museum and numerous trails. This annual event held on President's Day weekend in Casa Grande, 45 miles south of Phoenix, includes a Native American parade, rodeo, dances and crowning of the O'odham queen. The Arizona Renaissance Festival is a medieval amusement park, a 12-stage theater, a 30-acre circus, an arts and crafts fair, a jousting tournament and a feast -- all rolled into one non-stop, day-long family adventure. Laugh. Dance. Eat. Play. 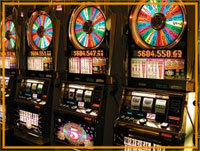 Gila River Casinos is overflowing with gaming, nightlife, entertainment, dining, and so much more. Jump in, the water's fine. Located in and around Phoenix. Rooster Cogburn Ostrich Ranch is a family owned and operated working ostrich ranch. Stop in and feed the critters for an unforgettable experience.